UNDERCOVER COWBOY RUST CREEK RAMBLINGS Greetings, merry readers! As the holidays approach in Rust Creek Falls, we are marveling at the number of couples who have been brought together by this summer's infamous wedding punch. And then there is Kristen Dalton, our town's resident actress/romantic. Since July, she has been pining over the "perfect cowboy," Ryan, whom she met at the wedding. But he left town soon after—for good, or so we thought. Now Ryan has returned, and folks are betting he and Kristen will be engaged before we can hang the holly. Not so fast, romantic revelers! Our out-of-town cowboy may not be exactly as advertised. 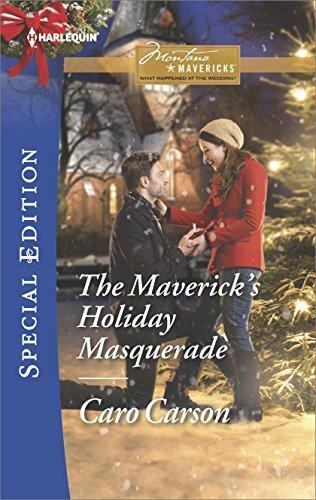 Will they still meet under the mistletoe when Kristen finds out who Ryan really is?